In the previous blog, I discussed how social media carries the potential to warp your self-perception. In this blog, I’ll address one of the additional dangers that social media platforms such as Instagram, Snapchat, and Facebook can pose to your mental health: addiction. Digital addiction is a relatively new concern in the mental health community. Since the popularization of social media apps, many people have become increasingly reliant on these digital platforms. 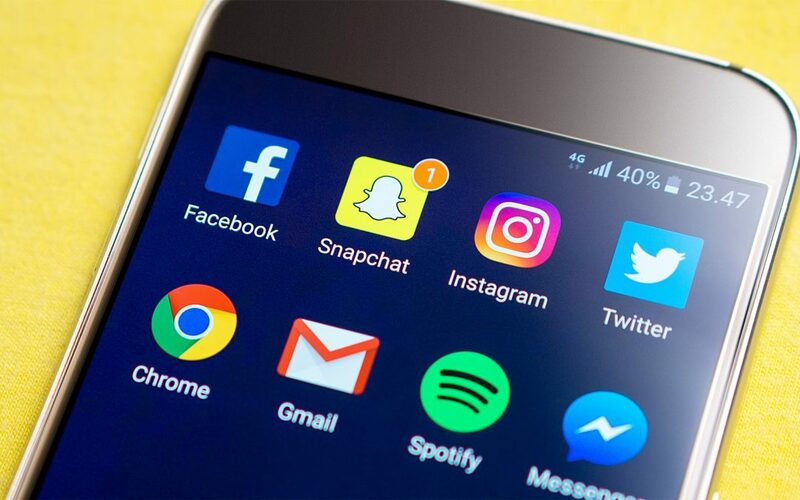 Although social media offers several advantages in terms of communication and connection, its use can become problematic if it takes priority over the rest of your daily activities. I’ve seen many people become reliant on social media platforms as a form of self-assurance, or even as a form of escapism or procrastination. Here are some of the signs of social media addiction, and what you can do to help yourself, or someone you care about. Although these symptoms may not be a hard and fast indication of an addiction, they can be considered potential warning signs. Has anyone ever commented on your persistent social media usage in class? Have you had trouble concentrating in a meeting because you’ve been thinking about checking your social media? These could be potential red flags. If not treated, the long-term effects of social media addiction may include depression, emotional and societal withdrawal, self-esteem issues, anxiety, difficulty sleeping, and in extreme cases, suicidal thoughts. If you suspect that you, or someone you care about, are experiencing several of the above symptoms, contact your SAP or EAP immediately. Unlike many addictions (e.g. drug or alcohol addiction), social media addiction is best treated with reduced and controlled use, as opposed to abstinence. Even some of the major social media companies, such as Facebook, are now using behavioural data to determine what major social media platforms can do to limit their products to those who are experiencing a potential addiction. Although this measurement is controversial, this is a strategy that has been applied by the online gaming industry, with some valuable results. A social media addiction can feel difficult to overcome, but with help from your Employee or Student Assistance Program, as well as support from loved ones, you can achieve a healthier, more positive relationship with the digital world.